So what do you wish someone in that space between Christmas in the New Year? Happy days! Hope the festive season has been a good one so far and that whatever plans or dreams you have for 2019 turn out to be truly amazing. 2018 has been quite a journey. The world seems to be spinning a bit crazily at the moment and it seems to be touching every bit of our lives and this past year has been something of a rollercoaster. 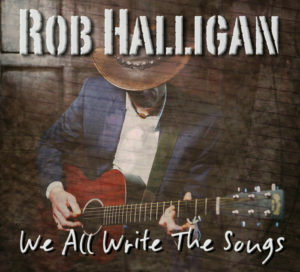 I n it all I released “We All Write The Songs” which first hit the shelves in March. At the time there seemed to be so much happening that there was no big launch and it all went a bit un-noticed. It wasn’t until October that I started to tour the album in any real way. The great thing was that as soon as the radio got hold of it, three songs from the album had some great airplay on local BBC and CrossRhythms gave it a respectable 9/10 and a nice interview about finally taking the plunge and going into this music thing full time. Alongside all of that I’ve been having a great time touring with Fiona Castle on the “Around the World in 80 Minutes” tour in aid of Global Care and working on a new project called Psalm with my old mate Chris Hunt. So what’s in store for the coming year? 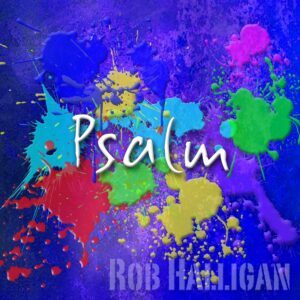 I’ve been exploring honesty in music, and working on songs and ideas for the Psalm project. There’s a few songs on the boil and there’ll be a release something in 2019 and I’ll keep you posted. I’m back in the studio with Graeme Duffin and Sandy Jones in January to start work on some new music and then I hit the road n a 26 date UK tour, finally touring “We All Write the Songs” for real. Thanks for all the support this year – it really does mean a lot. Hope to see you on the road in 2019.